MONSTROUS 1-TON TOWING: The strength to tow 2,000 lbs., far more than the competition, means you can tackle the toughest jobs with confidence. Features a standard 2" hitch receiver. LOCKABLE REAR STORAGE BOXES: Carry tools, gear and equipment with you at all times, protected from the elements with a roomy 39 gallon capacity. Features easy-access design and two hinged and lockable doors. HUGE REAR BOX CAPACITY: Rear dump box has a 1,250 lb. capacity for larger loads and fewer trips, plus a gas-assist dumping operation to easily and quickly dump your payload. 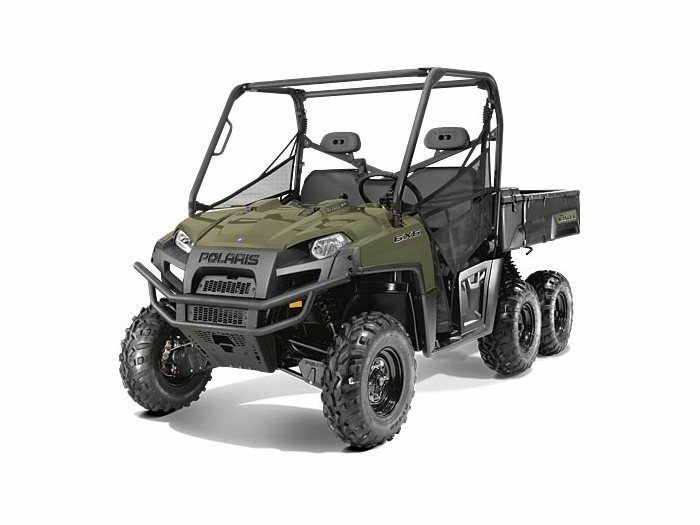 800 ENGINE: The proven, big-bore 800 twin-cylinder engine gets the job done, and features EFI for fast, reliable starting in any temperature, plus automatic adjustments for altitude. 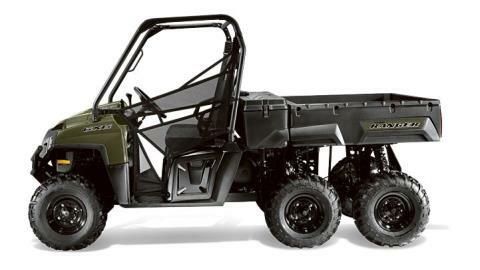 ON-DEMAND TRUE SIX -WHEEL DRIVE (6WD): True AWD keeps you moving, automatically engaging all six wheels when you need more forward traction and reverting back to the rear four wheels when you don’t. SIX-WHEEL INDEPENDENT SUSPENSION AND GROUND CLEARANCE: Six-Wheel Independent Suspension with 9.6” of travel and 12" of ground clearance delivers incredible off-road traction and a smooth, comfortable ride. SUPERIOR COMFORT AND ERGONOMICS: Cab ergonomics deliver outstanding driver and passenger comfort, including tilt steering with the highest range of motion (10"), extra legroom, and easy cab slide-through design for three adults to get in and out quickly.